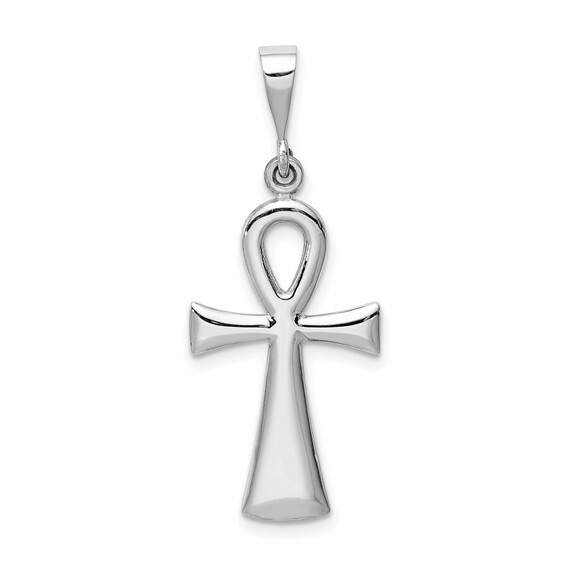 Ankh cross pendant is made of 14k white gold. Item measures 9/16 inch wide by 15/16 inch tall without loop and bail. Adopted by Christians to recall Christ as the tree of life, the Ankh or Egyptian cross was taken from the Egyptian hieroglyphics image meaning life. Weight: 2.3 grams. Made in USA.